The world of advertising, public relations and strategic communication is constantly growing and evolving; it’s full of promising careers for bright, driven people like you. Need to request a purchase? 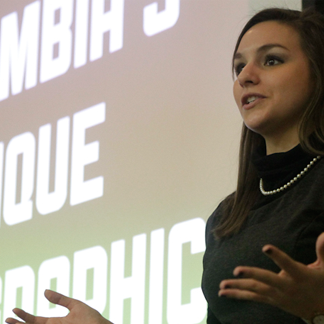 AdZou is the senior capstone course for students in the strategic communication area of the Missouri School of Journalism. Like most of our courses, this capstone class is based on the “Missouri Method” of learning by doing. Directed by advertising and marketing professionals, students work in small teams to create a complete research-based campaign for a real company or organization. By the end of the semester, you’ll have gained invaluable real-world, hands-on experience and have exceptionally high quality work for your portfolio. 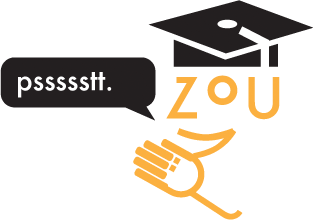 You’ll have a leg up on graduates from other universities, because the AdZou experience is one of a kind. Our alumni rave about the lessons they learned and how their AdZou experience propelled their transition from student to working professional. This has been true since 1908, when Walter Williams founded the world’s first journalism school in Columbia, Missouri. From the very start, Strategic Communication (formerly Advertising), has been taught at the Missouri School of Journalism. For students, AdZou, along with MOJO Ad, provide outstanding examples of the Missouri Method that Williams pioneered, educating students for careers in strategic communication by combining a strong liberal arts education with unique hands-on training in a professional setting. AdZou is one of many opportunities for MU students to immerse themselves in practical experience. Other university-affiliated media outlets include KOMU –TV, The Columbia Missourian newspaper, Vox and Global Journalist magazines, KBIA radio station, MOJO Ad and Missouri Digital News.